Combine all ingredients (except for garnishes) in a pitcher and store in refrigerator until ready to serve. To serve, garnish each glass with a pineapple wedge and lime wheel and pour in the punch! Simple syrup is easily made by combining equal parts water and sugar and heating while stirring until sugar has dissolved and mixture has reduced slightly. Basically all you do is dump everything into a pitcher – and you’re in business! For the sweet, I did a mix of simple syrup and grenadine. 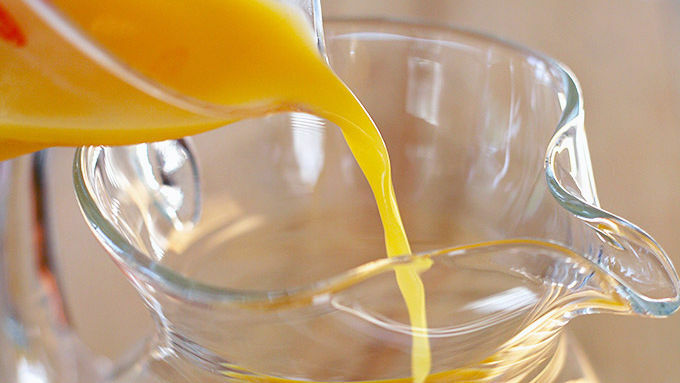 (Simple syrup is easily made by combining equal parts water and sugar and heating while stirring until sugar has dissolved and mixture has reduced slightly.) For the rum, I stuck to a white rum, but you could do a dark one if you like, or even spiced or coconut. (Or a combination of all 4!) For the juices, I did a combo of orange, mango and pineapple, but you could stick to orange and pineapple if that’s easier. (Or, if you see one that combines all three, go for that!) See? Once you know the “formula,” you can mix and match however your little heart desires. This is an optional ingredient, but one I recommend – I added a few droppers full of cherry vanilla bitters to the mix. If you’ve never used bitters before, think of it as seasoning for your cocktail. This particular one gave it a slightly exotic, spiced flavor, which was fabulous with the other ingredients. Give it a good stir, and store in the refrigerator until ready to serve. To serve, garnish each glass with a slice of fresh pineapple and/or a lime wheel. 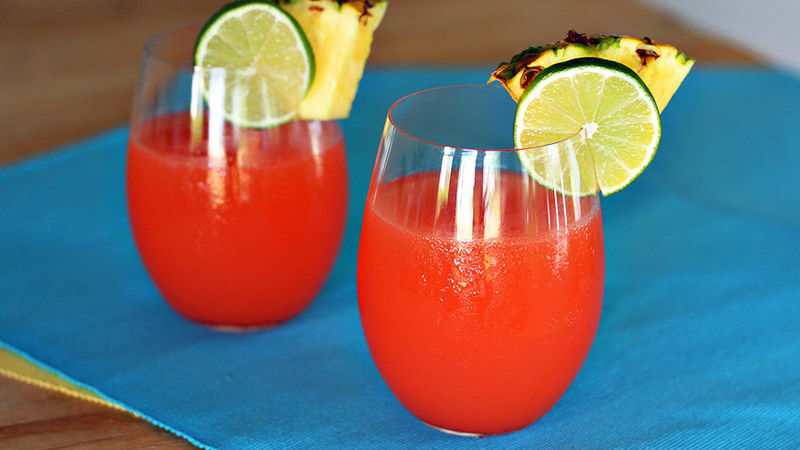 Cheers to Rum Punch Day!